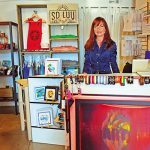 It all began with the expansion of the Panama Canal — and a desire to capitalize on its entry into San Diego. 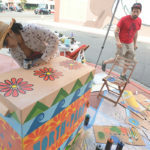 As the venerable Balboa Park celebrates the 100-year mark since the momentous occasion, several local organizations are pausing and reflecting on the milestone for a landmark that initially did not have a long-term prognosis in the community. 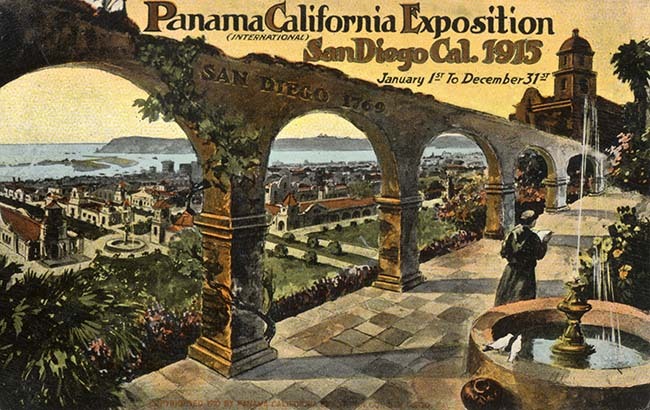 Beginning this Saturday, Jan. 31, the San Diego History Center (SDHC) will kick off its latest exhibit, “San Diego Invites the World: The 1915 Expo.” The 14-month display will run through the end of March 2016. 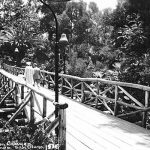 SDHC Spokesman Matthew Schiff said the organization this year is placing an emphasis on the Panama-California Exposition that served as the lynchpin to Balboa Park’s very existence. The new exhibit will feature rarely seen silent film footage of the expo, photos of the event and showcase unique memorabilia. One of the most notable aspects of the 1915 exposition was a rivalry that took place between exposition organizers in San Diego and San Francisco. During that pivotal year, the large-scale event took place in both cities. As the history books show, the leaders of both cities had something to prove, albeit for very different reasons. The more established San Francisco — at the time, sporting a more robust population than its southernmost Californian neighbor — was re-emerging from a series of natural disasters. But San Diego was evolving in its own right, clamoring for the prospect of an economic boost from ship traffic and a growing tourism base. 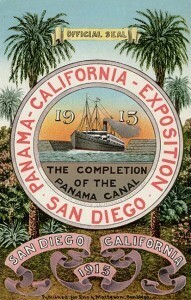 The Panama-California Exposition was the perfect backdrop for these efforts. 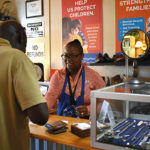 Both expositions drew large crowds. As he and other SDHC organizers poured over historic documents, Schiff said the rivalry between the two cities was stark. While both cities’ 1915 expositions drew packed crowds, what took place from 1916 onward was markedly different. Not long after San Francisco wrapped its expo, most of the buildings were razed, and building materials were used for scrap. By contrast, San Diego’s expo, of course, evolved into Balboa Park and stands as a monument to the city’s rich cultural landscape. “What most people don’t know is the buildings [within Balboa Park] were intended to serve as temporary structures for the 1915 expo,” Schiff said. also sought to promote itself as a land of opportunity. 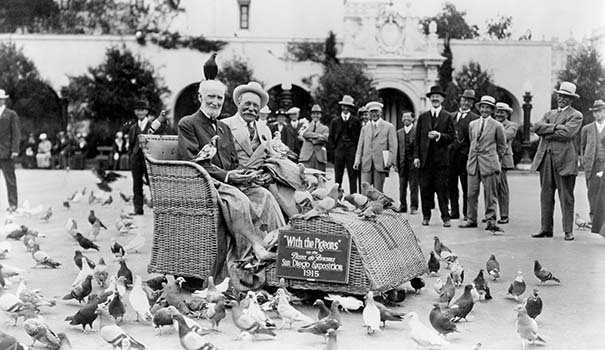 In addition to the upcoming exposition exhibit, SDHC has been screening a film, “Balboa Park: The Jewel of San Diego.” Throughout 2015, the organization will hold thrice-daily screenings of the documentary and a glimpse into the park’s past. Another Balboa Park-based organization, the San Diego Art Institute, has also unveiled a new exhibit that serves as a hat-tip to the centennial milestone. On Jan. 23, SDAI took the wraps off its latest show, “San Diego Keeps Her Promise: Balboa Park at 100.” It runs through Sunday, Feb. 22. Ginger Shulick Porcella, SDAI executive director, organized the show with Francis French, director of education at the San Diego Air and Space Museum. Shulick Porcella described the show as a “multisensory approach” toward the park’s history. Local artists created a series of exhibits — some based on sight, others on sound or smell. Regardless of the specific exhibit, Shulick Porcella said the goal behind the nearly two-dozen stations is to give a glimpse into Balboa Park’s past, present and envisioned future. For Shulick Porcella, who joined SDAI a year ago, planning “San Diego Keeps Her Promise” has been a crash course in learning about Balboa Park. 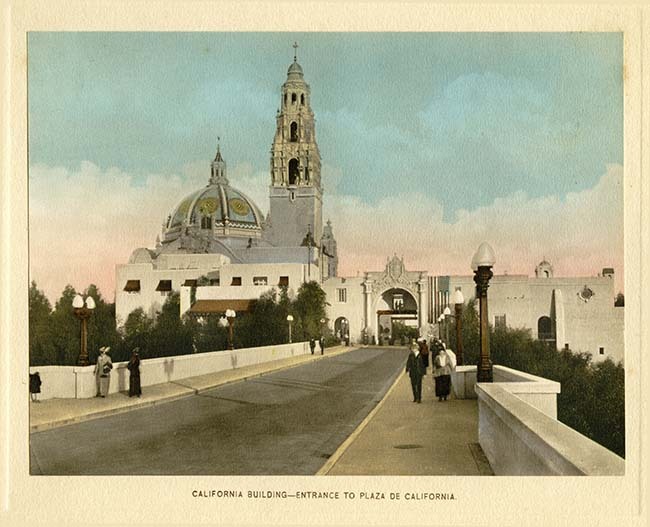 For information on the different events taking place to commemorate Balboa Park’s centennial celebration in 2015, visit celebratebalboapark.org. —Contact Dave Fidlin at dave.fidlin@thinkpost.net. Correction: This article originally identified Joseph Cannon as a U.S. Senator. He served in the House of Representatives, not the Senate. We regret the error. 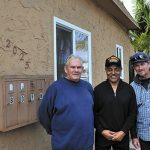 Pingback: San Diego News Room | 100 … and counting!